Apple supplier Wistron is preparing to expand its India-based iPhone manufacturing, with production geared towards the next-generation iPhone SE, according to local sources (via Focus Taiwan). Apple is hoping to build its share of the Indian smartphone market by giving Wistron the majority of the orders for the new iPhone SE, which is said to ship in the first quarter of 2018. Wistron was targeted as a supplier for the new iPhone SE due to its existing status as a manufacturer for the current iPhone SE, which it officially began assembling in India in May at a plant in Bangalore. That same plant will be the location of assembly for the new iPhone SE as well, and the sources made an unlikely claim that Wistron will target India first when it begins shipping the device to market, and then expand the launch worldwide. Within India, the device will be aimed at customers looking for a cheaper and smaller device. The supplier is even looking into expanding its production through talks with the local government. Taiwan-based contract electronics maker Wistron Corp. is preparing for expansion of its production base in India to produce the next-generation smaller iPhone -- the iPhone SE -- according to sources in the South Asian country. According to the sources, Wistron is expected to start to ship the new iPhone SE -- which is expected to be more affordable than larger iPhones for many Indian consumers -- in the first quarter of next year. They said that Wistron is in talks with the Karnataka government for an extra piece of land for its production expansion, hoping it will double or even triple its production capacity over the next five years. Recently, a questionable rumor pointed towards a potential late-August introduction of the new iPhone SE. A debut early next year is more likely since we've already entered August and have yet to hear any other rumors corroborating such an event so close to the expected "iPhone 8" keynote in September. Otherwise, there's been exactly one other rumor this year regarding a next-generation iPhone SE, related to the smartphone's potential inclusion of a strengthened Ion-X glass display. However, even that rumor was never clear in regards to the device in the image of the leak, which could also have been the upcoming "iPhone 7s." 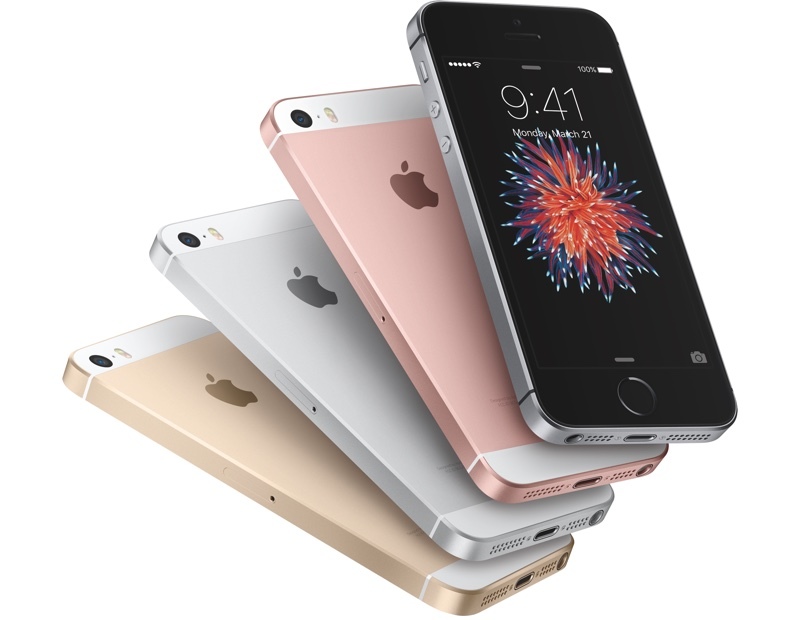 If it was a new model of the iPhone SE, users can expect the small-screen iPhone to move away from the design of the iPhone 5s and instead include a form factor that matches it with the iPhone 7 family, alongside the usual internal upgrades. Indian tech site Tekz24 recently reported that internals similar to the iPhone 7 are expected for the next-generation iPhone SE, although the details should be taken with the usual grain of salt due to the sketchy source. The report said the new iPhone SE will have an A10 chip, 2GB RAM, storage capacities in 32GB and 128GB (similar to current iPhone SE models), a 12MP rear camera and 5MP front camera, and a 1700 mAh battery (slightly above current models' ~1640 mAh). The device is also said to include "slightly thinner side bezels," mirroring the lessened bezels on the iPhone 7. I love my iPhone SE, what i don't like is the way Apple seem to think the SE is for people on a budget and strip its spec a little. I get the SE because they changed the iPhone into a stupidly oversized thing that even with my massive hands is awkward to use 1 handed and is to bulky in pockets. So because of this i was penalised by not being allowed features like 3D touch and only recently had a 128GB option. If they want to play the budget game, keep the SE design, spec bump it and release it as an iPhone Classic. Then with every new iPhone like the 8 have 3 sizes available so those who don't want to have a tablet as a phone can still get the latest model. I want an updated iPhone SE. It should not be treated like a second class citizen or simply a budget phone. Why can't Apple seem to understand there are plenty of us who buy the SE because we don't belong to the phablet craze? We want an updated phone with updated capabilities in the same form factor. I'm not super price sensitive but I don't want large phones. The SE has done well enough, from all appearances, to be treated properly and not as simply a budget phone. Nah, the SE should remain the way it is. It's design is what makes it 'special'. I will definitely buy one. I love iPhone SE form factor. The design is best and iconic. This is great news for everyone that still loves these little things :) I'm usually on my MacBook or iPad at work/home, so I just need the smallest phone for my pocket when I'm out and about. Naa, this design is awesome. Newer design is boring and less industrial and sharp. Hope this design gets to stay a little longer. "Mirroring the lessened bezels on the iPhone 7"
Umm.. what lessened bezels on the iPhone 7? The next SE must have 3D Touch. It's an important feature of iOS 11. I hope they keep the form factor, but make the internals first class. No more of this second rate, two bit product design because Cook wants to save money. Jobs was known for keeping the same capabilities across sizes. This is one thing Apple should go back to. I somewhat agree, but I think a redesign would give it independence in the minds of consumers and a new lease of life, both increasing sales. I think they might feel they need to in order to remove the headphone jack, otherwise the offering would be a phone on the same level as the 7/7s, but with a headphone jack. I really prefer the SE design over the 6 and newer models. It's thin enough, the camera doesn't protrude and it doesn't slip out of your hand like a bar of soap. And You don't have to buy a whole new case when switching models. I really hope it remains the way it is.